The Supreme Court of Canada makes it clear that a fairness hearing is not needed prior to dismissing the holder of a public office. The Supreme Court of Canada has provided both clarity and relief for municipalities and other public bodies in dealing with the dismissal of employees holding senior staff positions. At the same time, members of senior municipal staff should be aware that they may have lost an important procedural right to which they were previously entitled. In essence, the recent Dunsmuir v. New Brunswick case has abolished the requirement for a fairness hearing prior to dismissing the holder of a public office (such as a senior member of municipal staff) in circumstances where a contract of employment exists, unless that contract itself specifically stipulates a requirement for a fairness hearing. In 2002, David Dunsmuir began employment as a legal officer and clerk in the Department of Justice for the Province of New Brunswick. His appointments to various clerk positions were by Order-in-Council, so his status was that of a senior public officer. However, there were problems in the employment relationship right from the start. Dunsmuir’s probationary period was extended twice and the employer reprimanded him on three occasions during the course of his employment. On the third occasion, a formal letter was sent to Dunsmuir warning him that failure to improve his performance would result in further disciplinary action  up to and including dismissal. While preparing for a meeting to discuss the employee’s performance review, the employer concluded that Dunsmuir was no longer right for the job, and he was terminated the following day. The employer did not allege cause, and Dunsmuir was given four months’ pay in lieu of notice. Dunsmuir then filed a grievance under the province’s Public Service Labour Relations Act, which gave grievance rights to non-unionized employees. The arbitrator ordered Dunsmuir reinstated. Because a portion of his employment was as a public officer, the arbitrator held that at common law Dunsmuir was entitled to a fairness hearing prior to dismissal, even where no cause was alleged. The right to such a hearing has been a cornerstone of Canadian administrative law since a key Supreme Court of Canada decision dating from the 1970s. 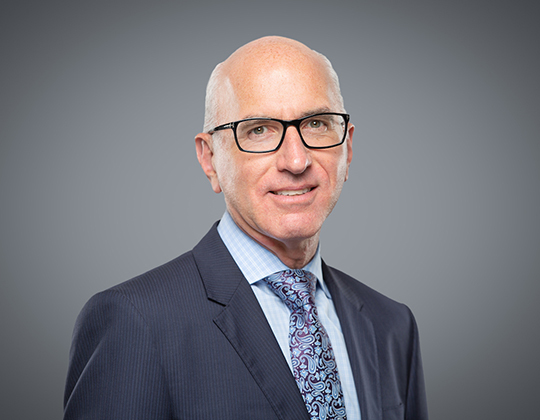 The employer applied for judicial review of the arbitrator’s award, and both the New Brunswick Court of Queen’s Bench and Court of Appeal quashed the reinstatement order. Dunsmuir then sought and obtained leave to appeal to the Supreme Court of Canada. His appeal was unanimously dismissed by that Court, which is the final arbiter. The court did acknowledge the validity and importance of the principles expressed in previous decisions on the general duty of fairness owed by public authorities when making decisions that affect the rights of public officers. However, the Court held that to the extent that those decisions did not consider a contract of employment to be determinative, they should no longer be followed. Prior to the Dunsmuir decision, if a municipal council or local board was considering the dismissal of a senior member of staff, it owed a common-law duty to provide an opportunity for a fairness hearing before making any decision to dismiss that individual. The purpose of such a hearing was to give the individual an opportunity to persuade the council or local board not to proceed with the proposed dismissal. This duty applied to all members of staff who were deemed at law to be public officers, which has been held to include all statutory positions (such as clerk, treasurer and chief administrative officer), as well as other members of senior staff such as municipal solicitors and, in some instances, department heads. That has now changed. As a result of Dunsmuir, if there is a contract of employment between an individual and a municipality or local board, there is no longer an obligation to provide procedural fairness prior to dismissal of a public officer  unless, of course, the contract itself imposes that obligation. For municipalities and local boards seeking to maximize the benefits of this decision, it is important to ensure that new members of senior staff are hired pursuant to a written employment contract, without reference to any obligation for a fairness hearing. Conversely, members of staff who wish to preserve the right to a fairness hearing prior to dismissal will have to ensure that they negotiate for that right and have it stipulated in their employment contract.